Made from silver anodised aluminium this board measures approx 450mm x 760mm. 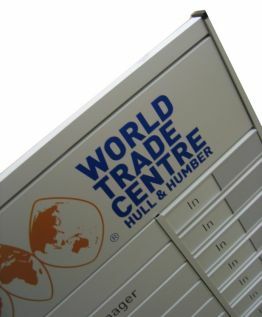 1 x silver outer frame. 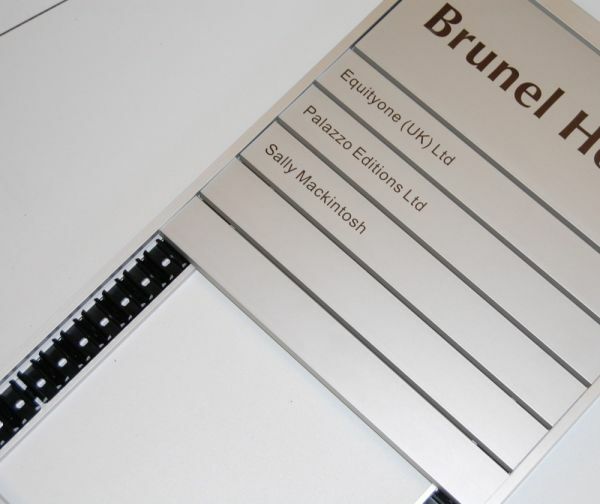 The price is inclusive of all engraving/printing, (header, namestrips & in/out details). For sizes or variations other than those shown, please email info@brunelengraving.co.uk with your specifications and we will reply with a quotation. 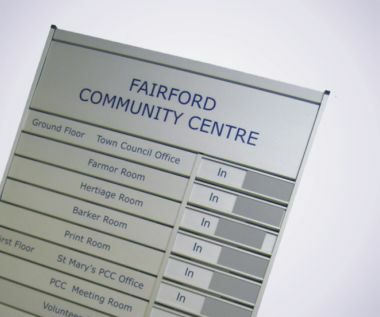 15 Strip In-Out Nameboards are supplied fully assembled, complete with a Slatz Key to remove your nameplates and 4 x screws with wall plugs. For fitting information please click here. 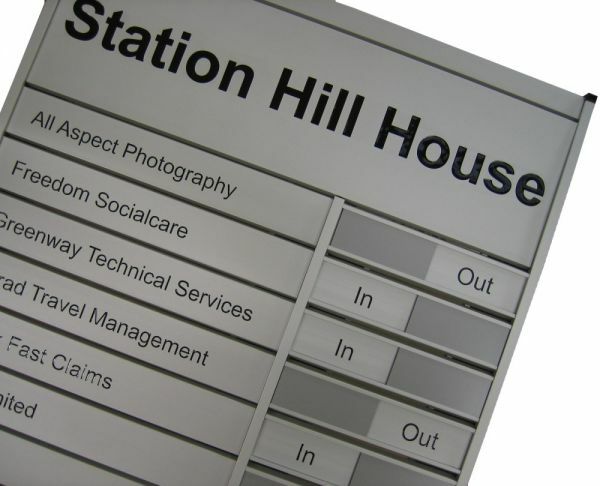 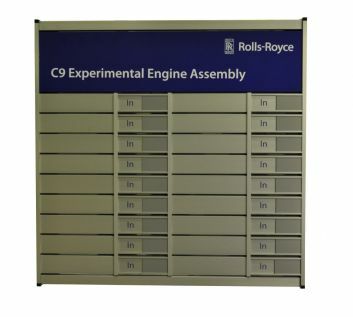 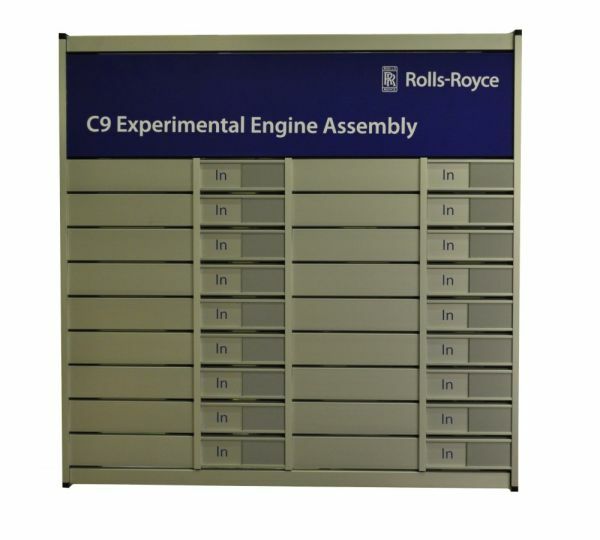 Our Aluminium Nameboards are supplied in a satin silver finish and anodized to an exterior grade. The material will not tarnish or rust and requires minimal maintenance.